On the eve of British Prime Minister Theresa May’s visit here and with a scheduled meeting of the intergovernmental conference next week, the question above is posed by a talks insider. These two political set pieces may change nothing. If DUP leader Arlene Foster could not deliver that February draft agreement, then what can she deliver now, or next month and before January next year when this place will be two years without a functioning government? “Where is the DUP?” that talks insider asked. There is no suggestion that we are close or closer to any breakthrough; so, no announcement is expected during the May visit or after next week’s intergovernmental meeting. That said, the London conference has to address “the elephant in the room” – the lack of devolved government and the consequences of that. So, we can expect that Dublin will push for a plan, a timetable and will want to explore how talks are re-convened and preferably with an independent or international chair. All of this is easier said than done. Before that intergovernmental conference, Theresa May will meet the parties during her visit – and wants to talk about working together to restore stable and effective devolved government. “They have no bandwidth at all,” one source commented – a reference to how little room the British Government has within which to move. Theresa May leads the most uncertain of governments; relies on DUP votes to survive and, in the words of one source, is “tone deaf” when it comes to the needs of others. Brexit is May’s battle – the political plank on which she walks every day trying not to fall, and with the constant threat that she could yet be pushed. Everything else – including this place – is secondary. In all of this, the Northern Ireland Office is trapped. 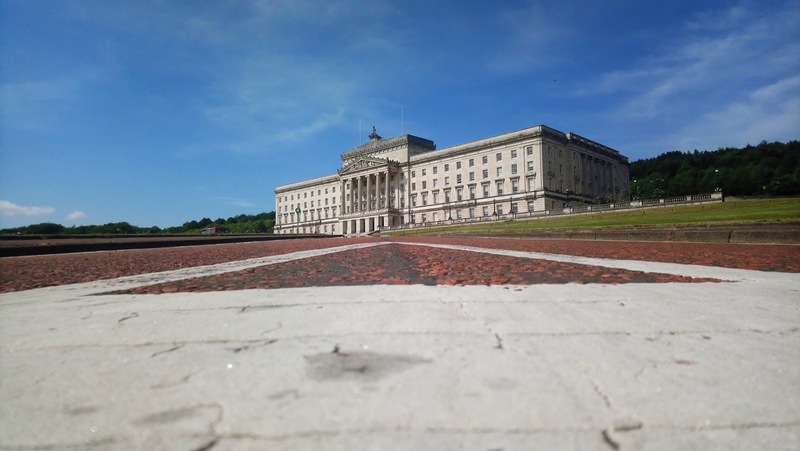 The news from the BBC’s Jayne McCormack on Tuesday that Secretary of State Karen Bradley will reconstitute the Policing Board in the autumn fits into the category of doing the minimum necessary. From outside and inside the Board, this move had been anticipated in June and still they wait. Nothing here is moving or will move quickly. February ended in shambles, in that crash and rubble described earlier. The DUP negotiating team was unable to deliver the draft agreement with its languages compromise and that document – obtained by my colleague Eamonn Mallie and published elsewhere on this website – will be a starting point in any new talks. Or will it? Can the DUP return to or revisit that paper? Just listen to recent comments from one of the party’s MPs at Westminster. Jim Shannon said there won’t be an Irish Language Act. No Act means no Executive, no Government, no First Minister and the continuation of deadlock, stalemate and standoff. So, there is no easy or quick way back. Brexit is the major political issue and, tied to it, is Theresa May’s survival. What’s the big plan here? How to avoid all-out direct rule. July 18, 2018 in News & Current Affairs. Unionism has deluded itself with the May deal. Sooner or later they are coming back to the table. There will be an Irish Language Act whatever Jim Shannon says. The only question in new talks is how thin the Unionist salami will be sliced.